90 Day Satisfaction Guarantee on CCM Jetspeed FT350 Ice Hockey Skates when purchased before April 25th, 2019. The CCM Jetspeed FT350 is an entry-level ice hockey skate with features normally reserved for higher-end offerings, and at a price point that will earn it a lot of attention. New-to-hockey skaters or those looking for a little recreational fun will enjoy what the FT350 has to offer them. The elevated SpeedBlade Pro holder on the FT350 is similar to the holder used in the FT1, and allows for an increased attack angle. The geometrical SpeedRib design adds rigidity to the overall holder, helping to reduce twisting, and generating more energy in each stride. The FT350 also includes non-replaceable stainless steel runners connected to an injected plastic model outsole. The quarter package in the FT350 skate is a synthetic composite shell with a much stiffer feel as compared with the FT340, and a better fit and form after baking. In particular, the new, stiffer heel helps players transfer a lot of energy in each stride. And the skate includes a semi-flexible tendon guard, allowing for maximum extension in the stride. The tongue in the FT350 has been upgraded with a 7 mm. white felt model, with a foam lace-bite guard. Its two-piece construction gives the skater an anatomical fit, offers more protection for the top of the foot, and boasts better protection than the 340 skate. The FT350 liner features thicker foams in the ankle area, providing more comfort than the 340. The heavy-duty microfiber material increases durability without sacrificing comfort. The liner has a soft-to-the-touch feel, and will wick moisture from the foot for reliable, dry comfort. The footbed in the 350 skate is CCM’s standard model, with plenty of contoured support. CCM Jetspeed skates are medium-volume skates, which typically fit a normal-sized foot. 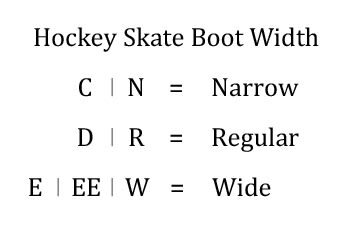 But Jetspeeds are a little tighter in the forefoot, heel, and instep areas—perfect for skaters with those particular sizing issues. The FT350 is affordable for the entry-level skater, but offers some very nice high-end features. Skaters will love the performance the newly upgraded quarter package delivers, and its overall design. CCM has put together a skate that will attract attention from a diverse skating audience. Weight: 748 Grams Weight of the skate measured in Grams (Sr 8.0D, Jr 4.0D, Yth 12.0D). Tongue Material: 7mm felt Type of material and design of the tongue. Many things; CCM's JetSpeed motto is trademarked as &quot;Fit to Fly,&quot; which means they are designed for players who are looking to maintain high rates of speed after &quot;takeoff.&quot; These are CCM's first full composite skates which makes them incredibly lightweight. Featuring MonoFrame 360 technology, Super Tacks skates are a one-piece boot frame providing a fully anatomical heel-lock with a 360&deg; fit around and under the foot. The Super Tacks construction eliminates the need for an outsole, providing a greater foot-to-skate contact area and an unprecedented direct force propulsion system to help generate maximum power. It is highly recommended to try both of these boots on before acquisition. Are these sized the same as your shoes? 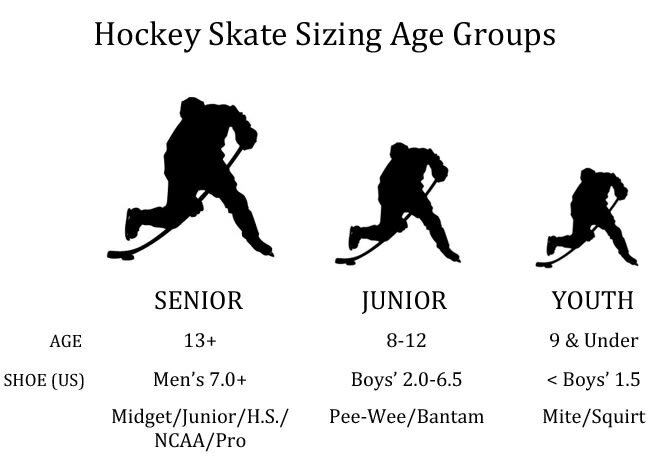 No, skates typically run 1.5 sizes down from your shoe size.